Christian Merkl (born in 1979) studied business studies and economics from 1998 to 2004 at Friedrich-Alexander-Universität Erlangen-Nürnberg (FAU), Institut d’Études Politiques, Strasbourg, France, and Wayne State University, Detroit, USA. He was a research associate at the University of Kiel and at the Kiel Institute for the World Economy from 2004 to 2007. He obtained his doctoral degree from the University of Kiel in 2007. He has been a research fellow at Forschungsinstitut zur Zukunft der Arbeit GmbH (IZA) since 2007. From 2007 to 2010, he was head of the research department ‘Monetary Policy’ at the Kiel Institute for the World Economy and an assistant professor of labor market economics and monetary policy (joint appointment by the University of Kiel and the Kiel Institute for the World Economy). He was a guest researcher at the National Bureau of Economic Research, Boston, USA, in 2010 and at the University of Melbourne, Australia, in 2013. 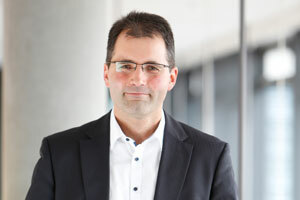 Prof. Dr. Christian Merkl has been Chair of Macroeconomics at FAU since 2010. In addition, Professor Merkl is one of the co-ordinators of the institutional network ‘Ensuring Economic and Employment Stability’, of which FAU is a member. He has been a research professor at the Institute for Employment Research since 2012. He has been co-editor of the open access journal Economics since 2015. Professor Merkl’s main research interests are macroeconomics, with an emphasis on fiscal and monetary policy, and labor market research.